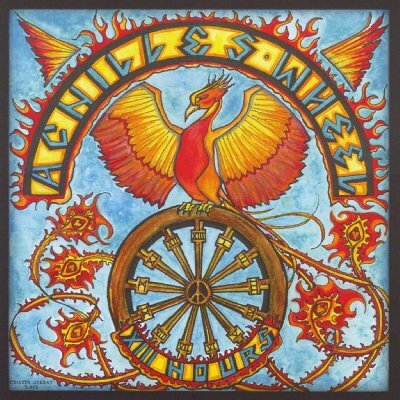 Achilles Wheel incorporates several genres of music into their songs. World beat meets the blues, country rock meets reggae, folk meets rock. Every song can take the listener on a different journey. There is an instant recognizable quality to the songs; one feels that they know the song, even upon the first listen. This is the kind of album that will give you a new 'favorite' song, each time you put it on. For each composition, there is varied inspiration. Achilles Wheel tries to speak about a wide range of subjects. Political views ('Careless Son', 'Monkey House') give way to philosophical ideals ('This is Life', 'First Step in the Wrong Direction'), love songs ('Comin' Home to You', 'Illithia', and 'Let Love Remain') are complimented by work songs ('Down in the Mine', 'Keep the Weight off Your Back'), and danceable songs ('Moonshine', 'Got a Tattoo') are interspersed with the cerebral ('Slow Train', 'Don't be Late'). There is something here for everyone. Combining top notch musicianship with contagious energy, world class singing, and infectious compositions, 13 hours is sure to become one of your favorite new records.